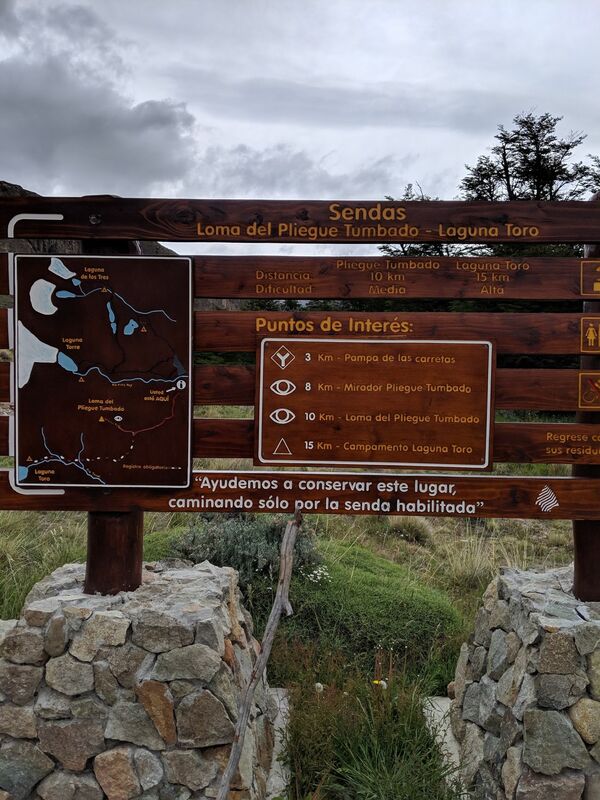 Explore the most popular Bird Watching trails in Lago del Desierto Provintial Reserve with hand-curated trail maps and driving directions as well as detailed reviews and photos from hikers, campers and nature lovers like you. I would recommend this trail to all the hikers. 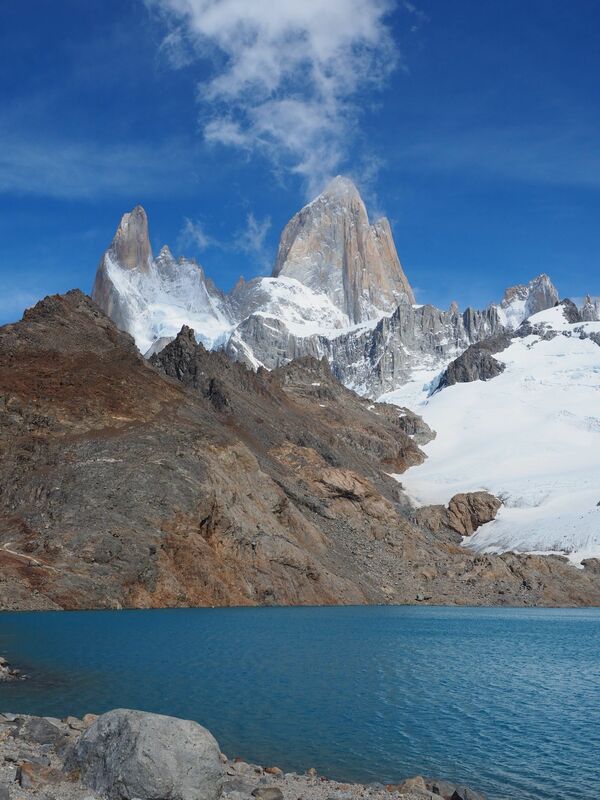 I recommend to do it after doing Laguna de los Tres and Laguna Torre trails. 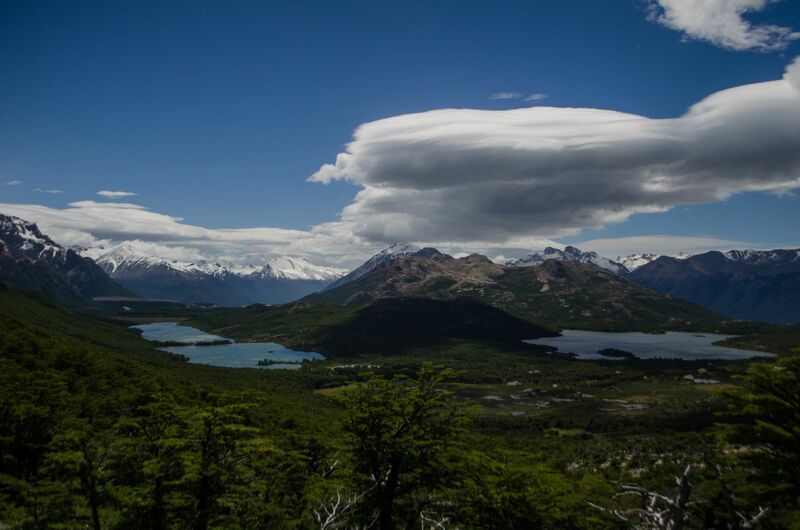 The views at the viewpoint 200 m below the summit and at the top of the peak are amazing. 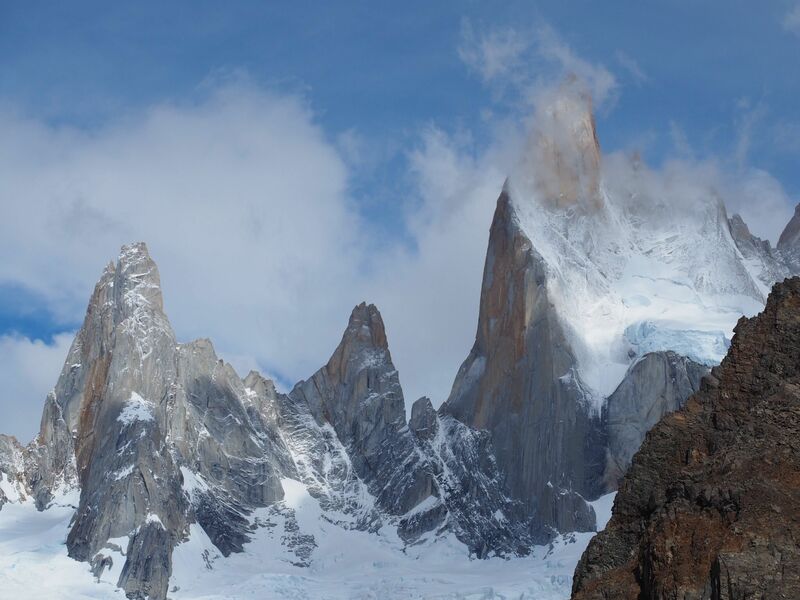 If you have enough energy try to go to the top, there are a stunning 360 degree view. 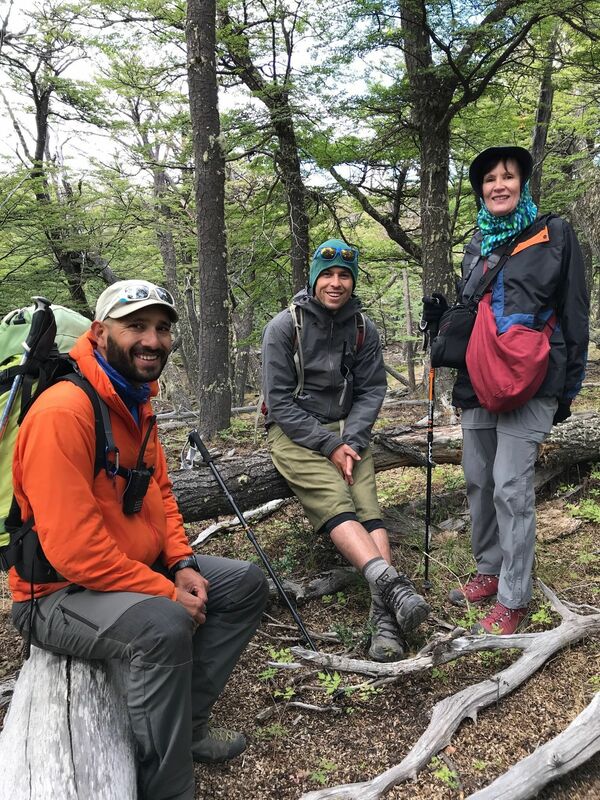 Definitely this trail is a must if you go to El Chaltén. 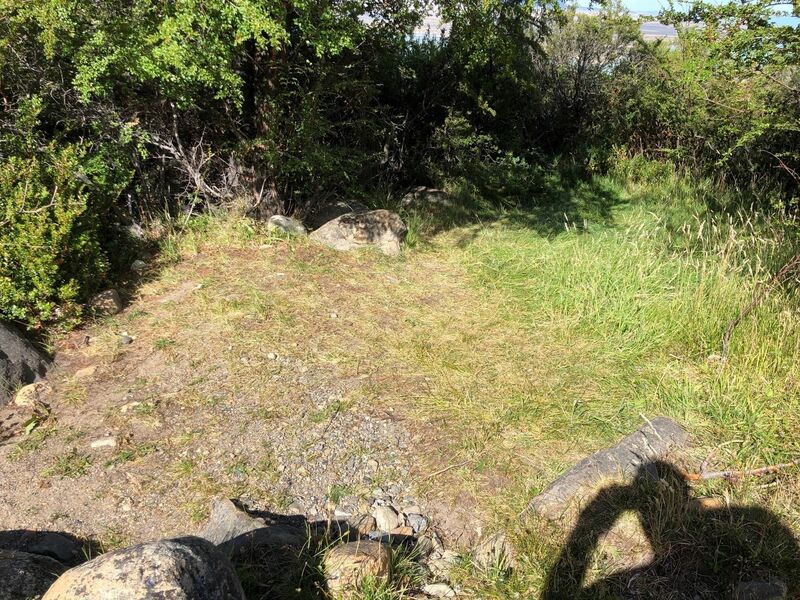 Easy to moderate trail with stellar views, need permits. We had guides to arrange. Beautiful weather, no wind today, very sunny. 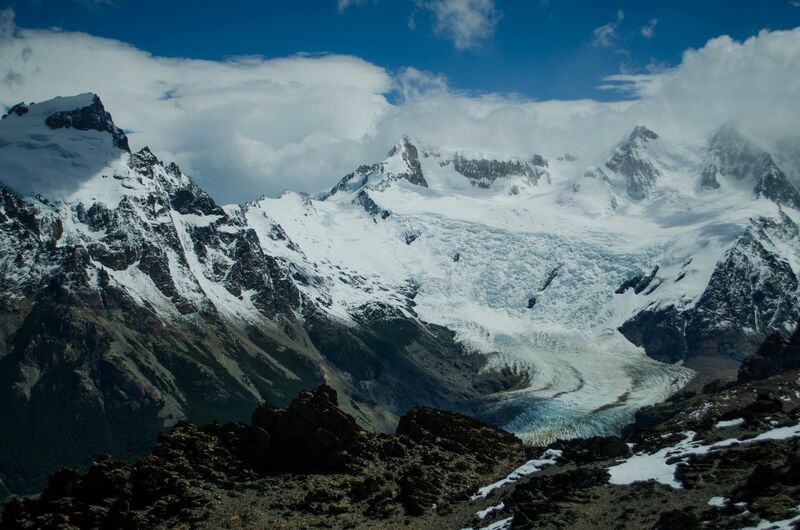 View on one of biggest glaciers at second day. Amazing camp at third day, with icebergs on lake. 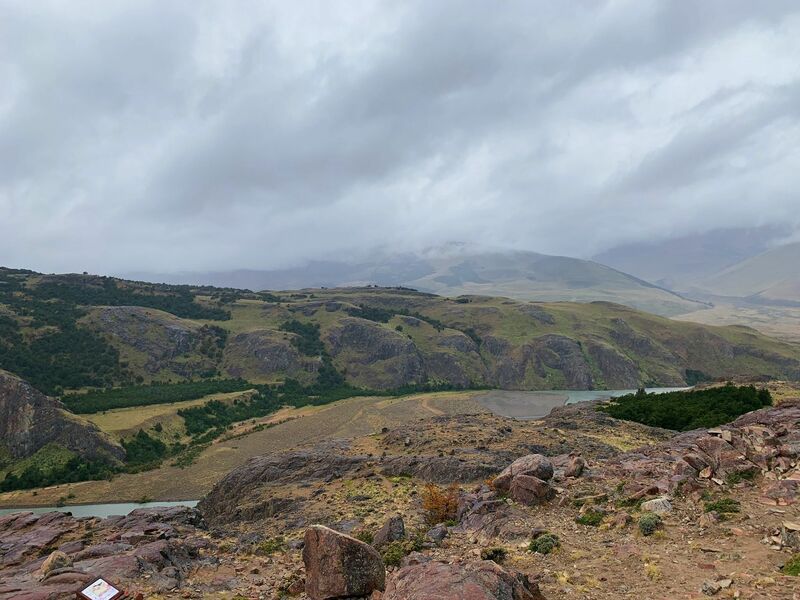 I personally don’t think it was worth the 1+hr drive on a gravel road and 300 pesos for the view. It’s okay at best. I went with some mates who had a car. If it’s rainy, be prepared for washed out roads. 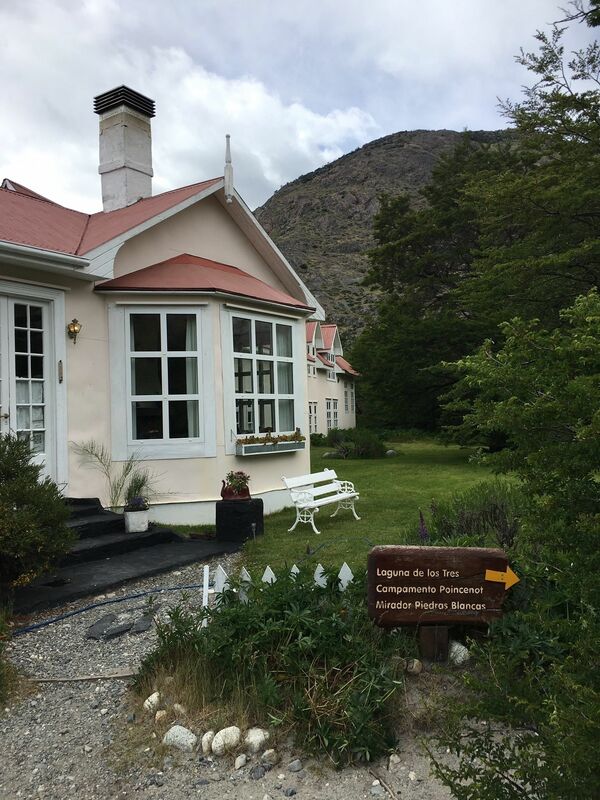 Was staying at Los Huemules so spotted a car down at the trailhead in El Chalten then started in at El Pilar. 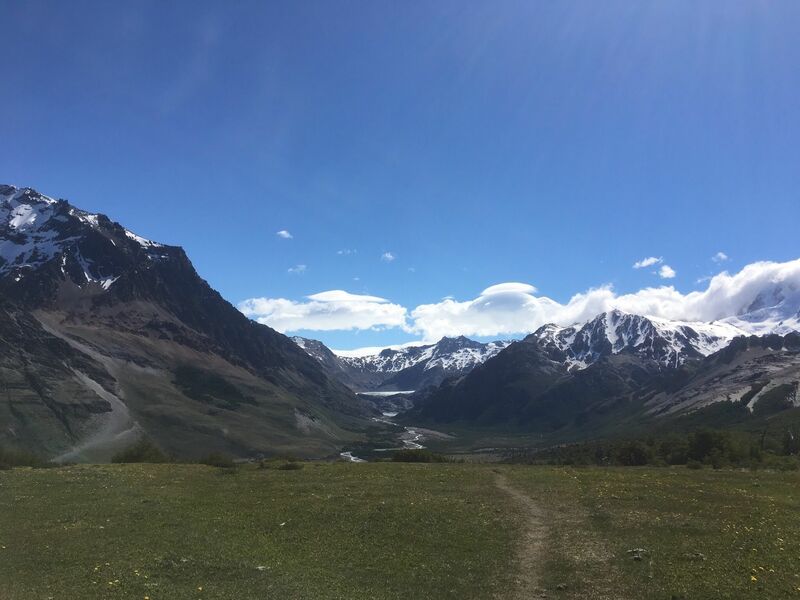 Pretty flat trek into Poincenot and Blanco with the steep ascent starting after the camp. I think we did +3200' elevation gain so that was a decent hike! 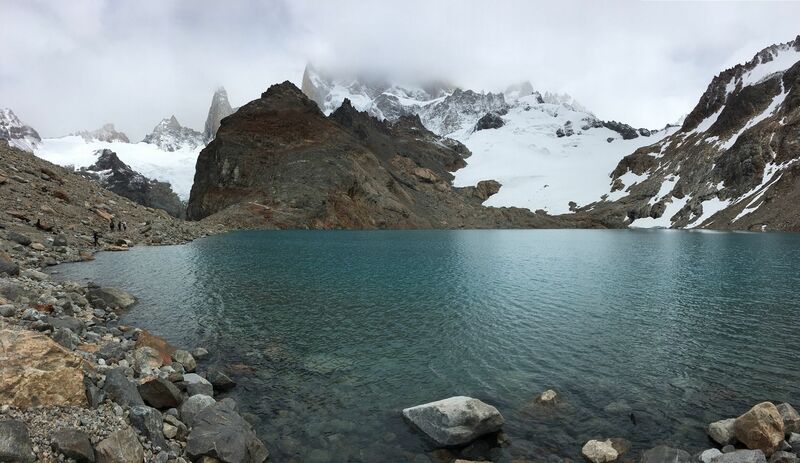 Nice weather at Laguna, took pix, went over to view Lago Sucia too, quite spectacular! 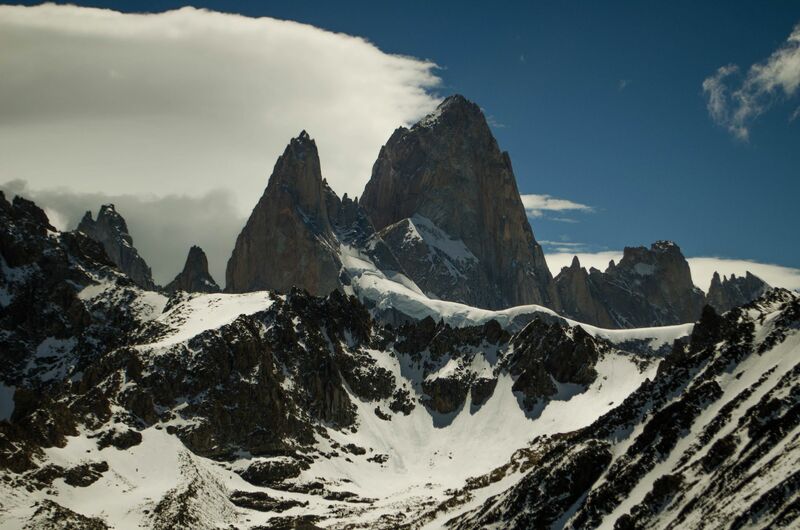 On way out took in Mirador Fitz Roy which was okay. 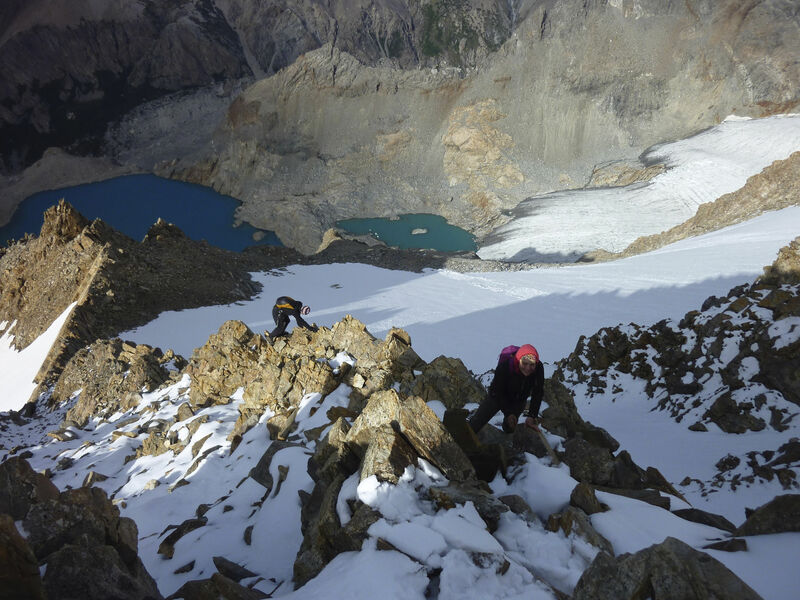 A cool hike for sure, bring your wind and rain gear and dress warm. Enjoy! 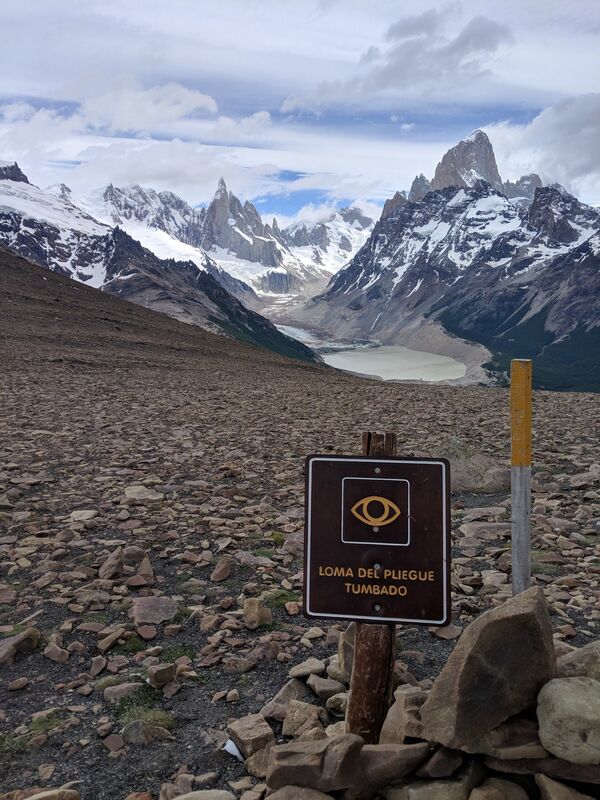 Possibly the best trail in the park - a little bit easier than Lago de los Tres (even though the elevation gain is greater, it is a more consistent gradual rise) with a fantastic 360 degree view at the very top. 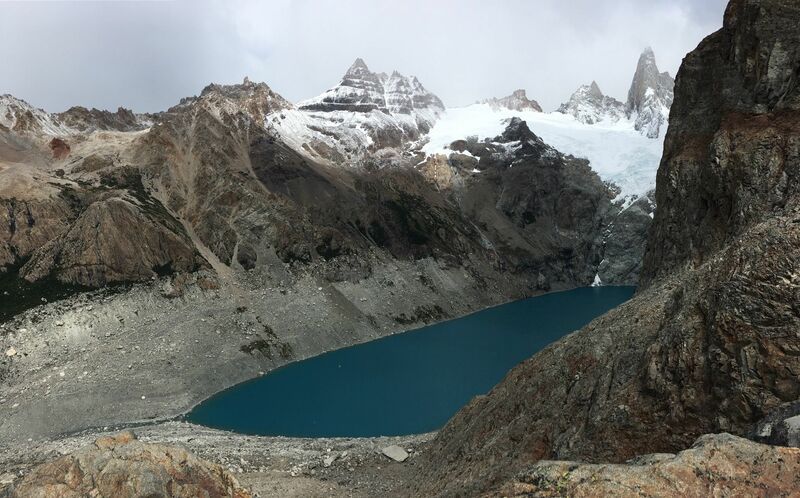 I think Lago de los Tres and this trek are must do - Laguna Torre can be skipped. 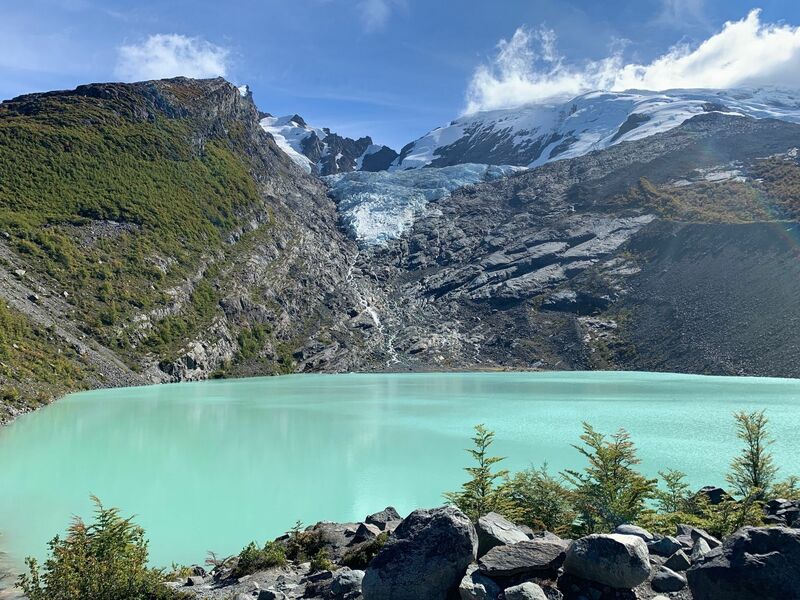 If you can only do one, do Lago de los Tres. Stream was barely running so you may want to bring enough water for the entire trek. 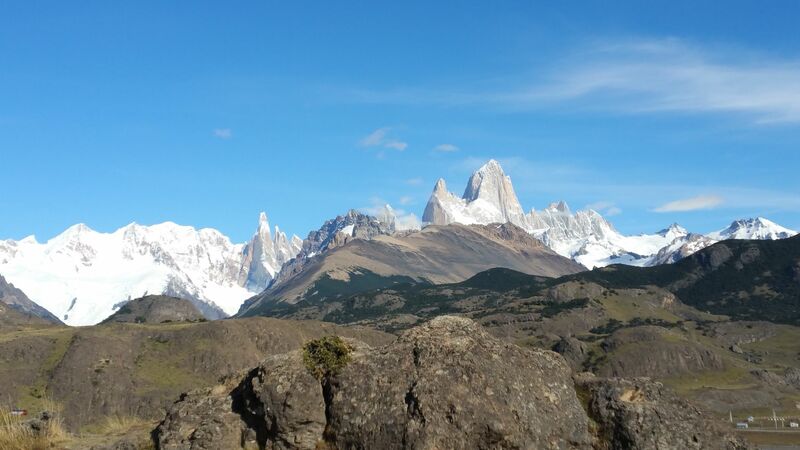 Short trek, GREAT views of Fitz Roy range when clear. Best views per linear foot hiked, for sure! Just do it. Amazing hike as long as the weather is cooperative. 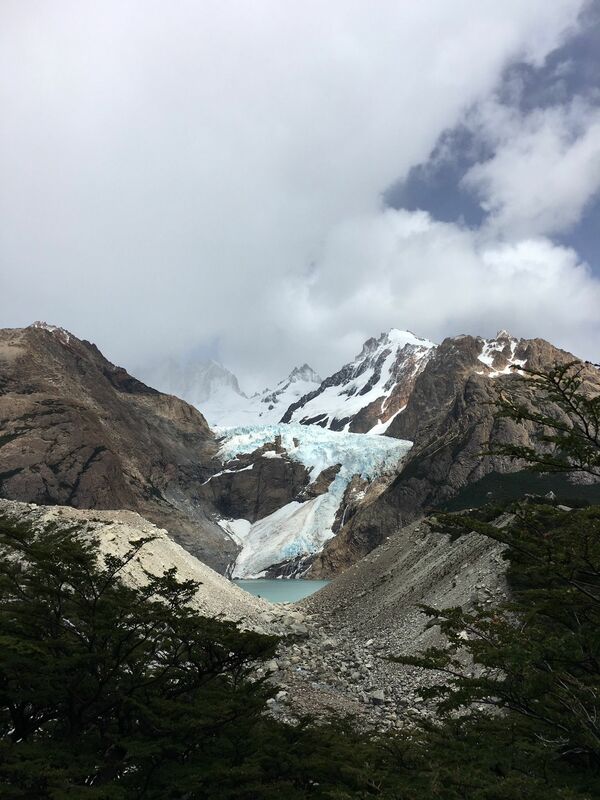 We had perfect weather for two hours starting at El Pilar, but Lago de los Tres was a hellacious climb through heavy snow...in the middle of summer! The lake was barely visible. After descending from the lake, the weather became clear and warm again. 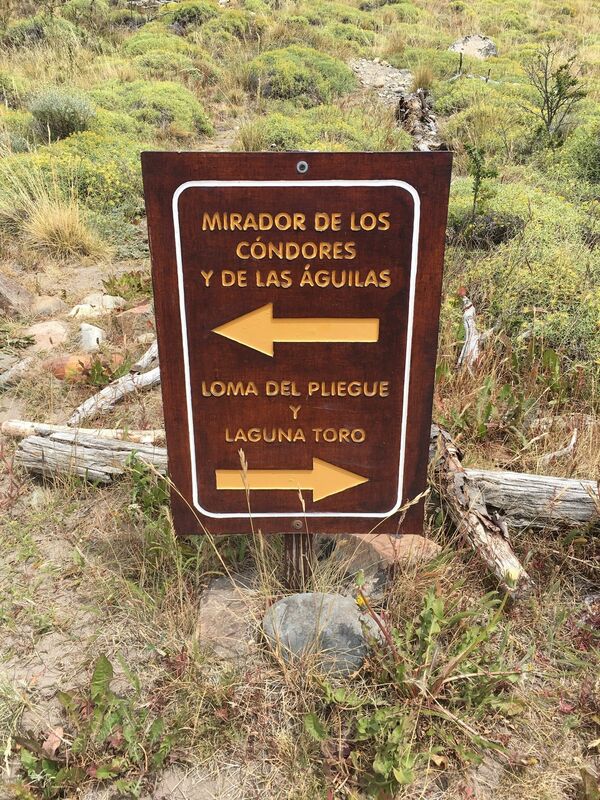 Very odd experience, but I guarantee this hike would be amazing if the weather at Lago de los Trea was clear! 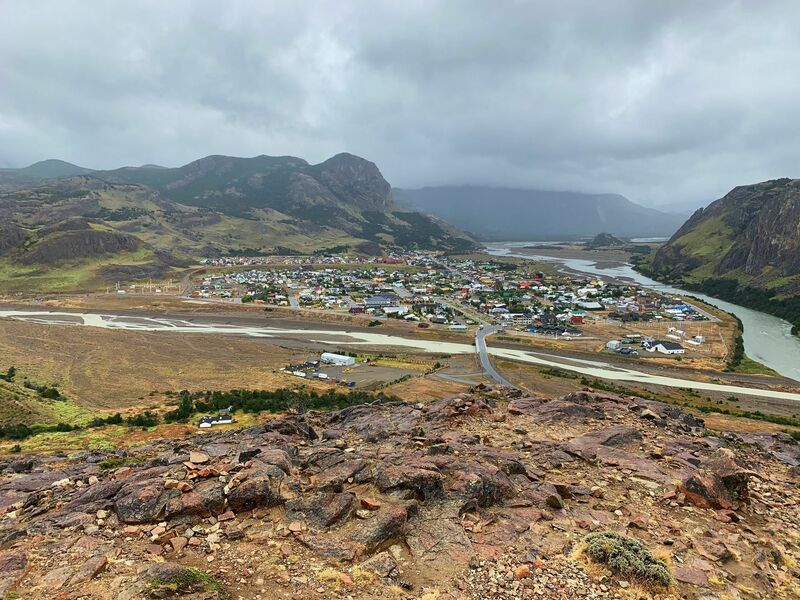 Amazing 360-degree views! 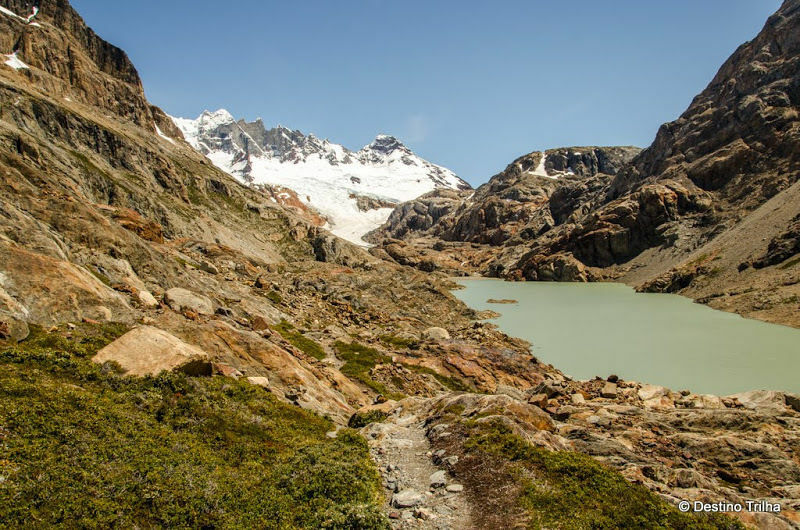 Is one of the easiest hikes, only steep in short areas. Plan on 2 hours in & out to enjoy both Mirafores & their magnificent views. 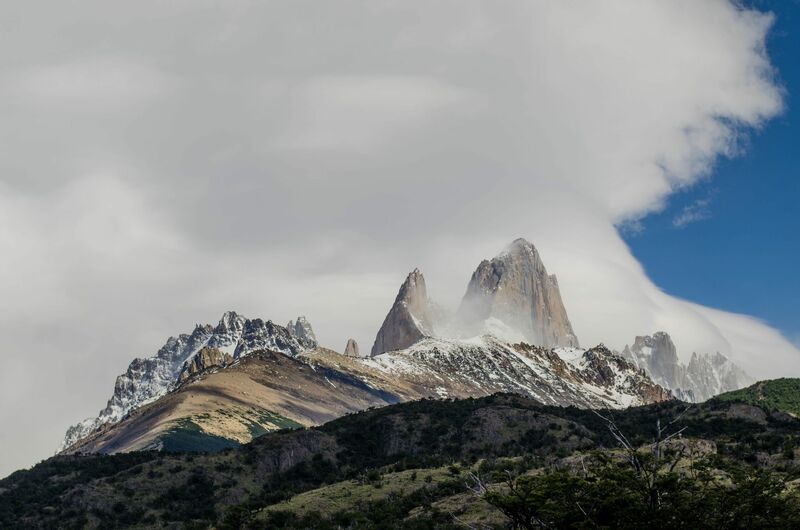 It will be windy at the top, even in a warm day, so bring layers. An amazing trail. Make sure you ask your host for recommendations on the best weather day before you head out. Pick your day carefully. We met some who couldn’t see it at all. 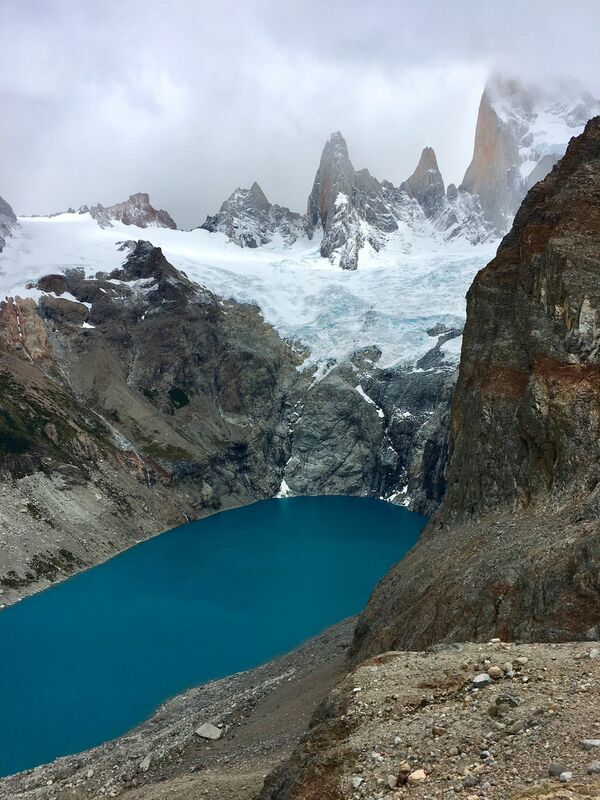 The only sad part was the lago at the base of Fitz Roy was still frozen over and covered in snow due to the late winter this year. We were there early nov 2018. The uphill “last” mile to the summit is no joke. The rocks will take their toll on your feet. When I climbed into bed that night I realized my feet were throbbing. 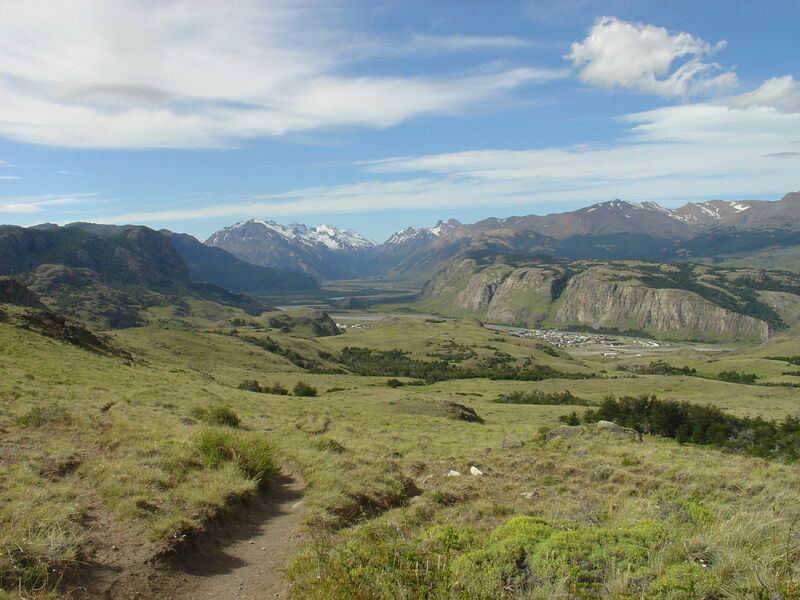 This trail total from the hotel to peak and back to the trailhead in elchalten was about 15 miles with about 3k ft gain. 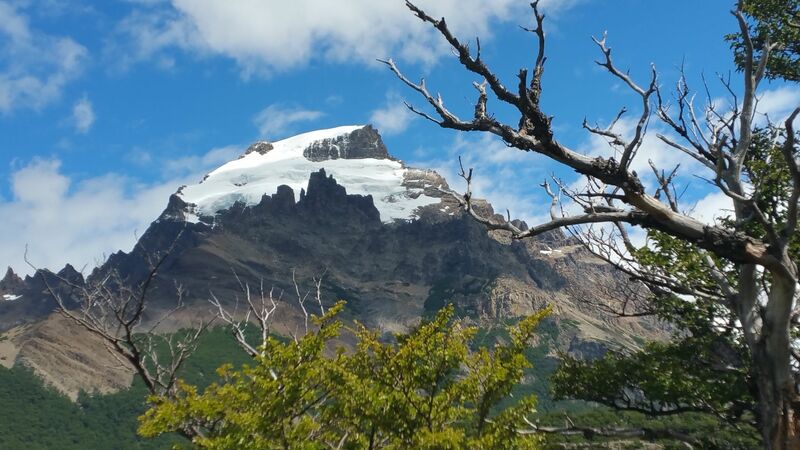 When you take this route you get the added benefit of passing the mirador for piedras blancas glaciar. It’s beautiful. 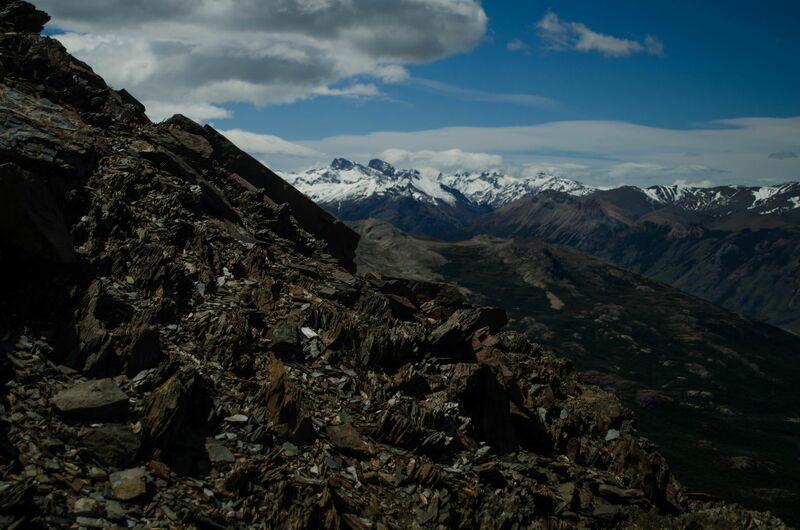 I added photos of the trail in, part of the rocky trail up (it gets worse) and of the glaciar. 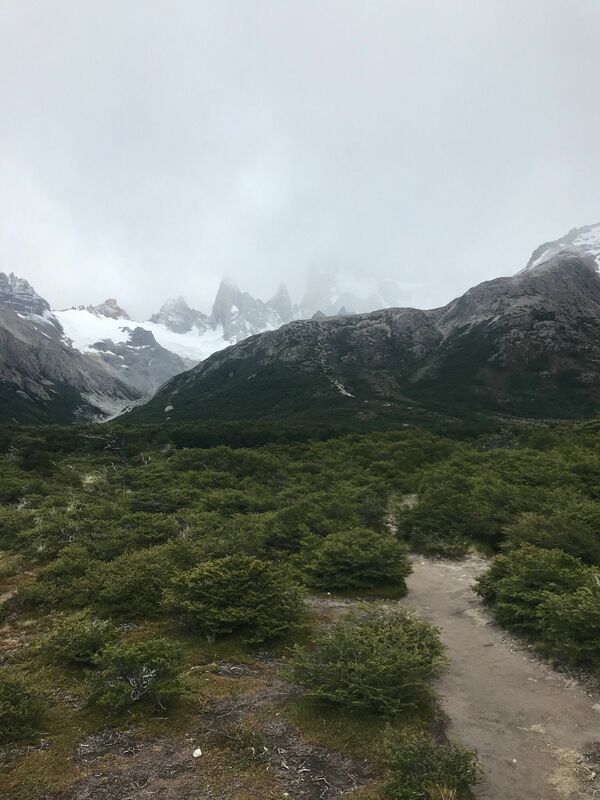 This trail is the same as the fitz roy trail except that you dont double back. We took a remis to the hotel where you start. 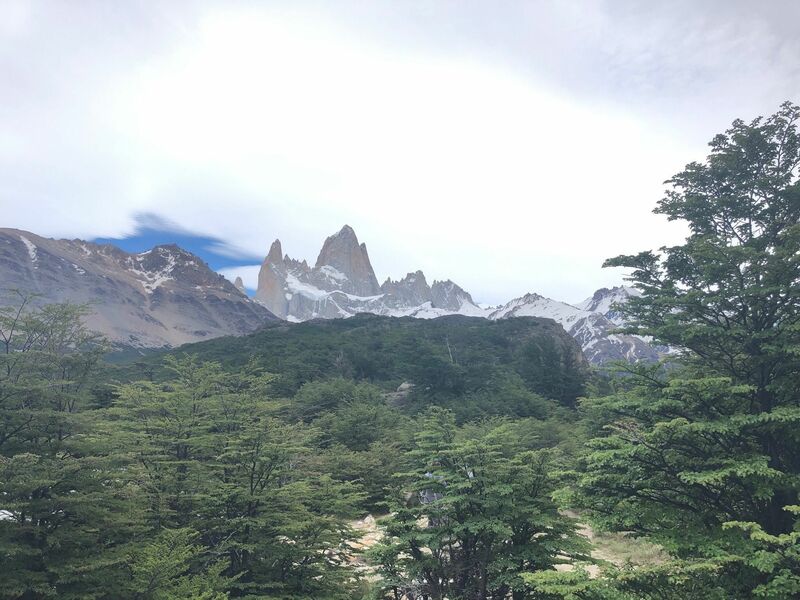 It is a relatively flat trail until you join the other fitz roy trail. 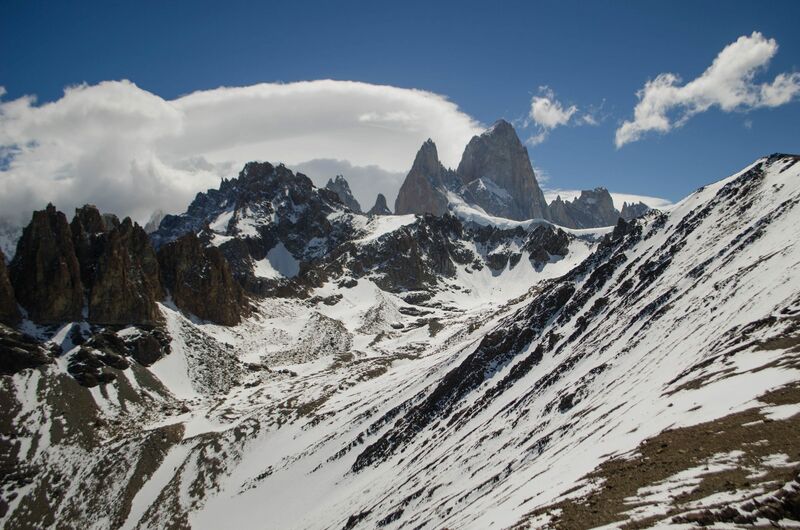 Unlike the fitz roy trail which has more uphill from the start, this trail def has uphil, but not as much. 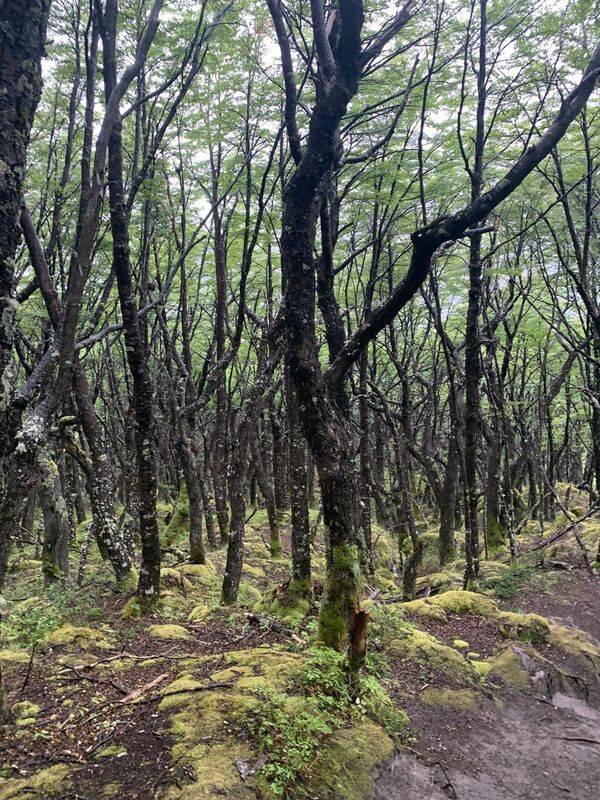 You walk through a beautiful forest then get to the dreaded uphill rock climb off shoot. This is where the trail joins. 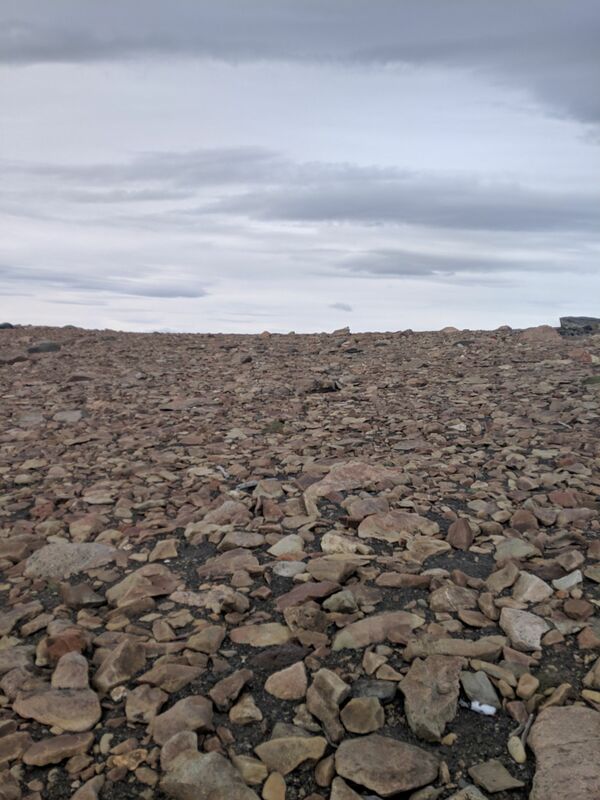 You climb over very very rocky ground at a 45°-75° incline for about a mile. It is no joke. We were there on a spectacular clear day. 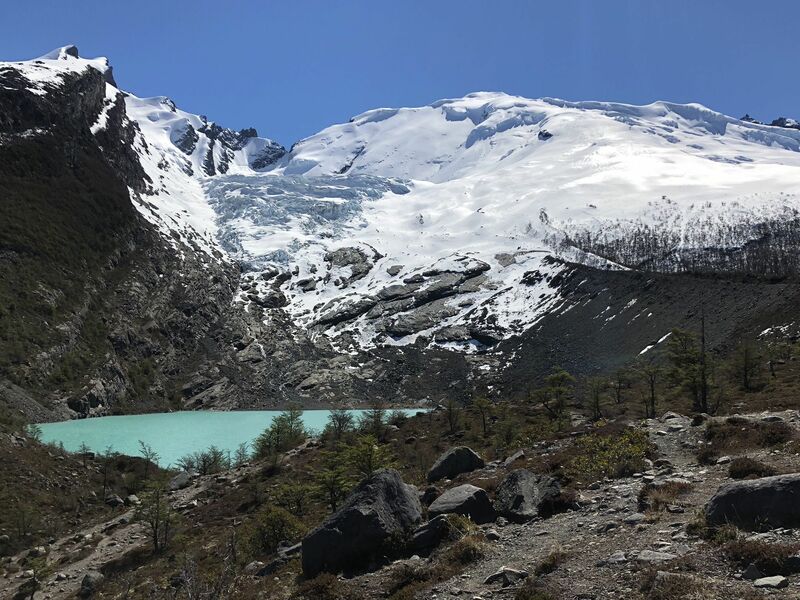 The lagoon at the base was sadly still frozen and covered in snow the “extra” lake over the crest to the right wasnt and was a clear bright blue. But not the turquoise the base suposedly is. :( we went nov 6th. 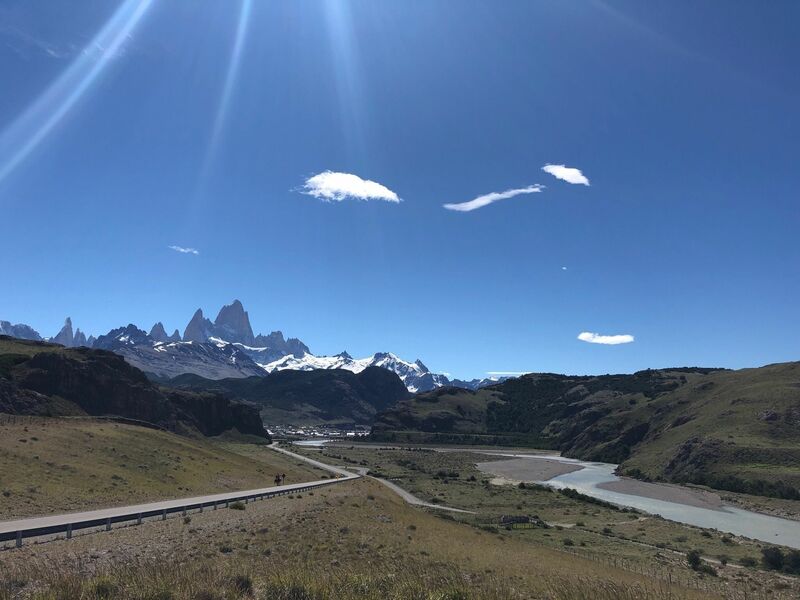 we walked back the el chalten way to our hotel. Amazing hike. Was about 13 miles. The other trail out and back is longer. Do not miss this!!! This is by far the best view in the area. 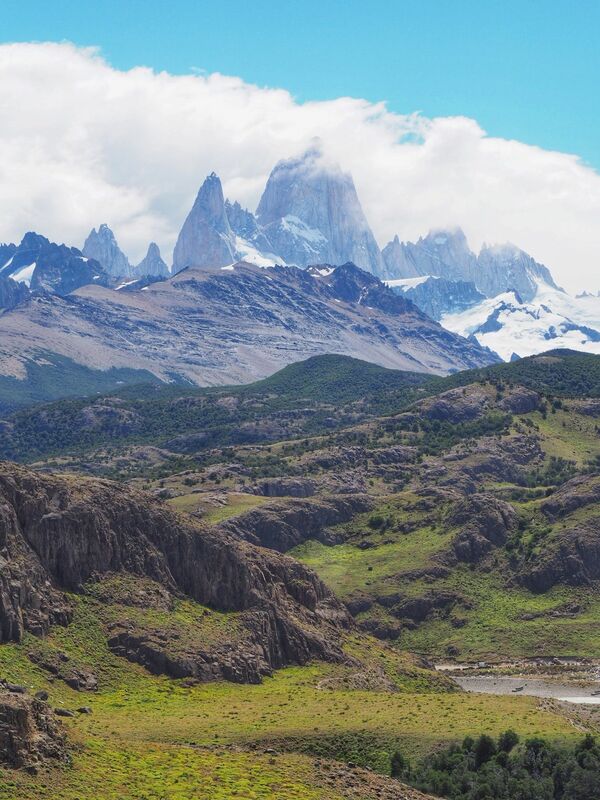 It literally took our breath away - we just didn’t have enough breath to gasp as long as the view overwhelmed us! Also the hike itself was extremely beautiful for the whole way. However, we got some really powerful wind, especially in the exposed final leg of the trail. The wind was strong enough to hold me up when I leaned into it and I’m 150 pounds! It was a battle to reach the top through the wind, but the wind was warm and it felt more like an adventure than a problem. 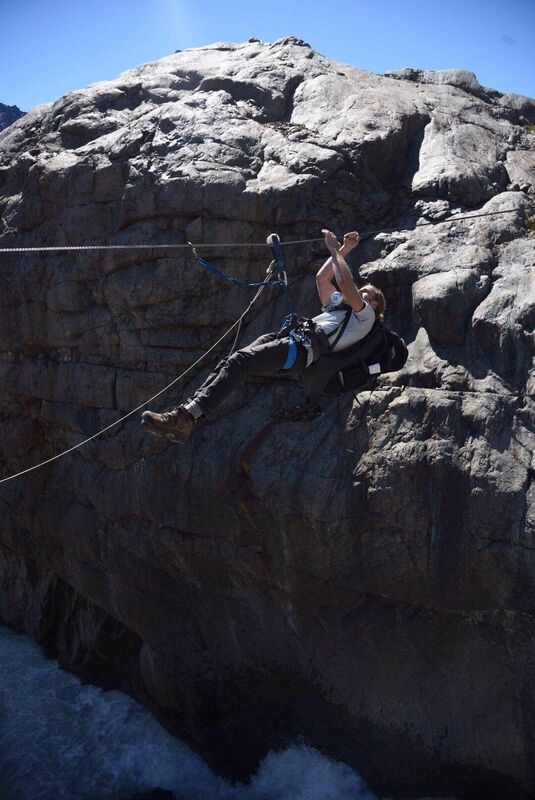 I would do the hike again in a heartbeat!! Although we had a rainy and very windy day, we could enjoy this trip. As soon as you cross the entrance bridge to the town, there is a sign that indicates the beginning of the trails. In the beginning a gentle rise is made at moderate moments. 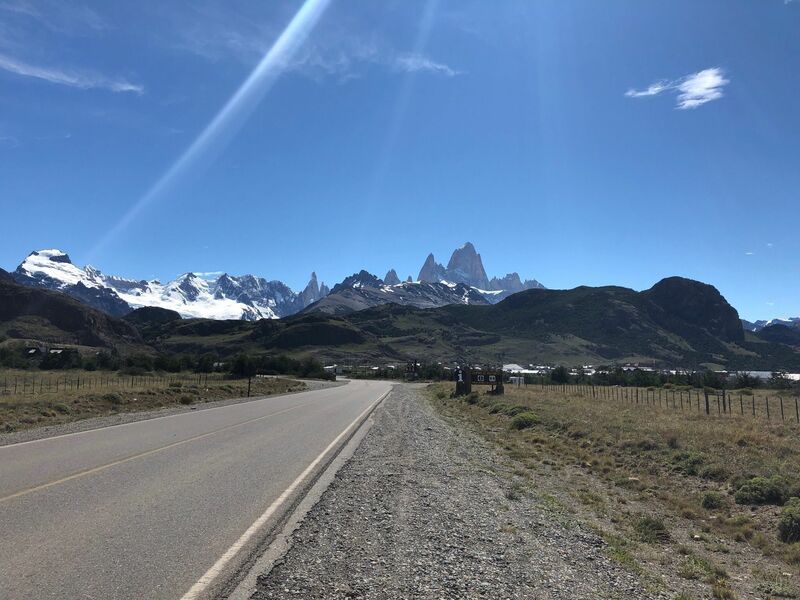 Then the road forks, A shorter and steeper route leads to the Condor Viewpoint, with a beautiful view of the town and the surrounding mountains. 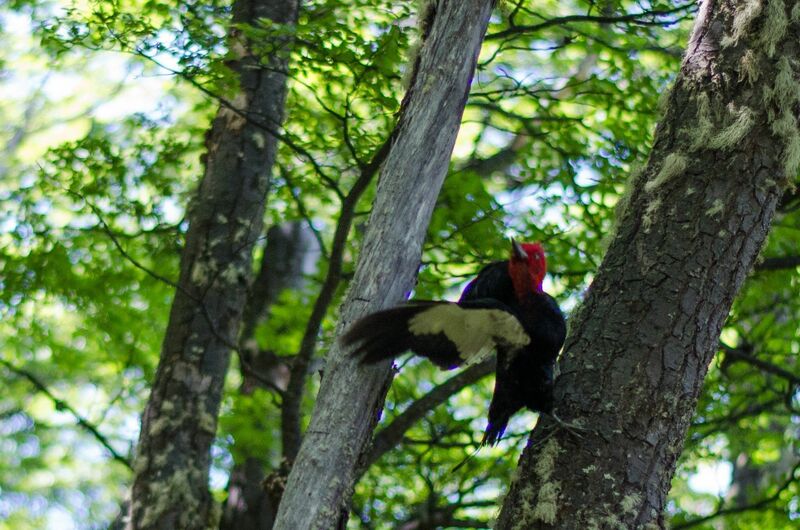 And we've really seen condors fluttering. 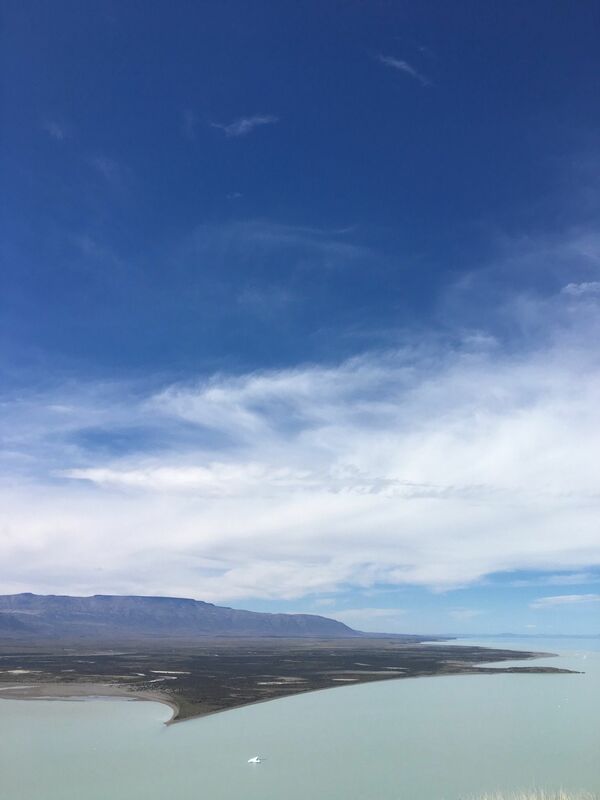 The other longest and flat path allows us a great view of Lake Viedma. Amazing hike. Ascent all the way up; especially challenging at the end. 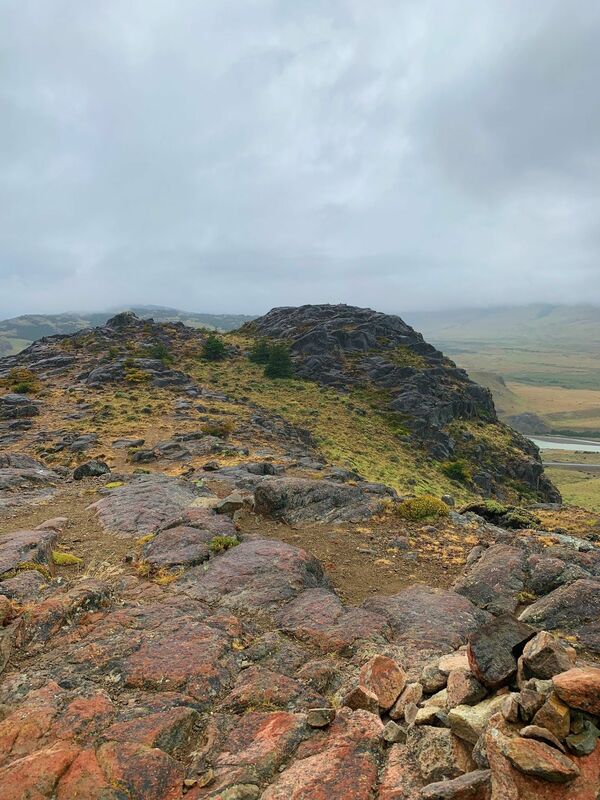 High winds and rain made the steep (45-50 degree climb for a while) ascent through rocks and peaking after a sheet of snow (which is doable by the way!). 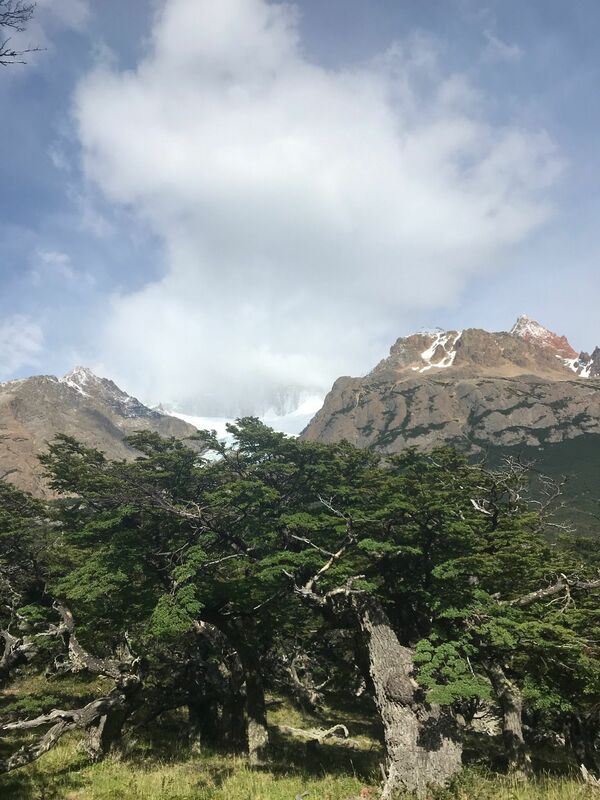 The views are well worth it and the way down is easy and even runnable at parts—just watch out for tree roots on the path. Easy warmup hike with a bit of uphill. The view from Mirador De Las Aguilas is stunning. If you go a bit higher you’ll get a nice 360 view. Worth the extra time and effort. This is a better trek than the out and back. The incline is less and one does not see the same thing (not that one gets bored with the views). 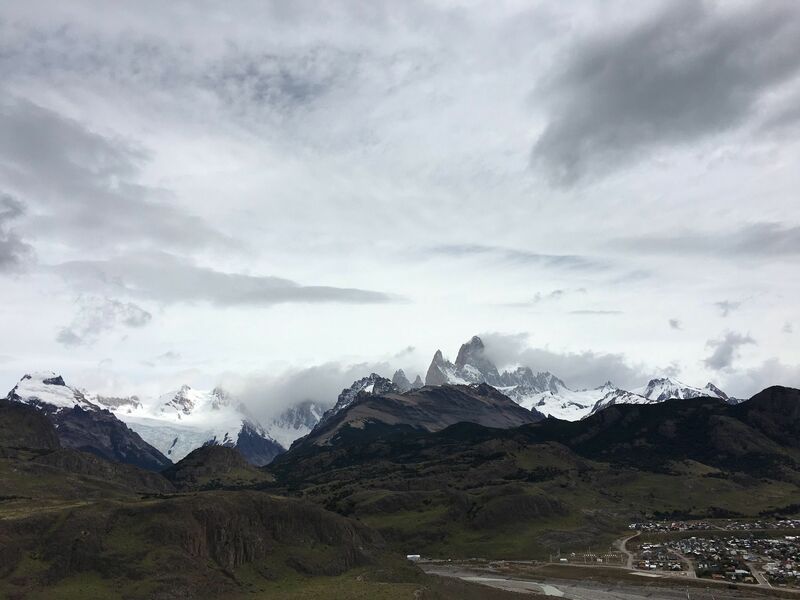 I got a bus ticket for $10 at the El Chaltén station the night before. I was picked up at my Hotel. 30 min ride. Bring proper attire, Once I ran out I filled my water bottle from the running streams. One can taste the turquoise! 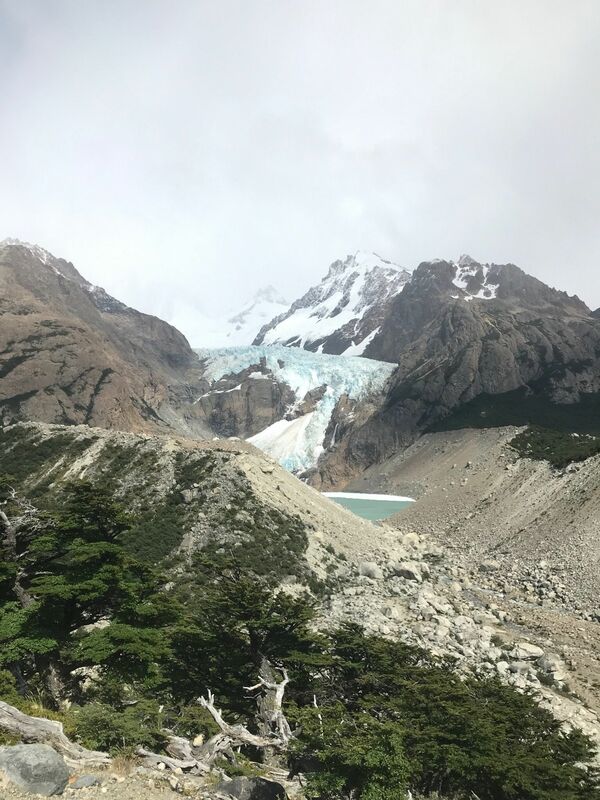 This trail is the same as the fitz roy trail except that you dont double back. We took a remis to the rl pilar hotel where you start. 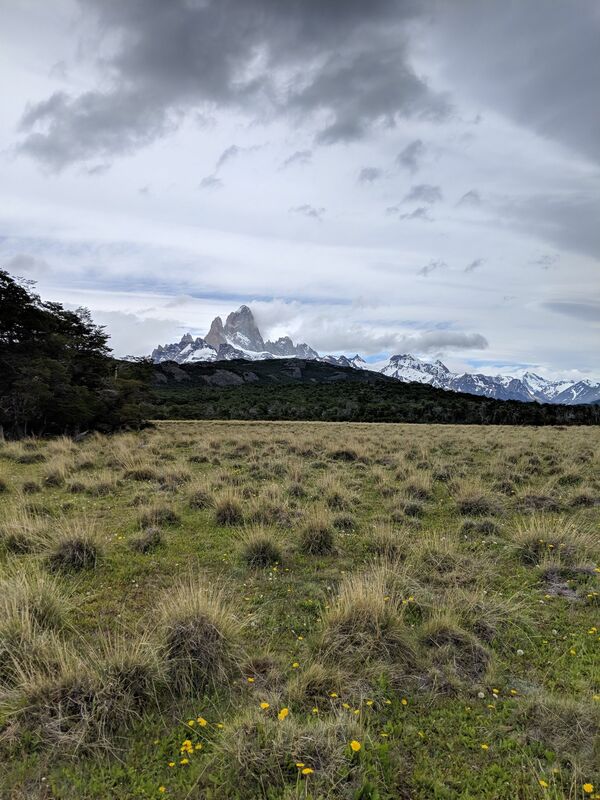 It is a relatively flat trail until you join the other fitz roy trail. 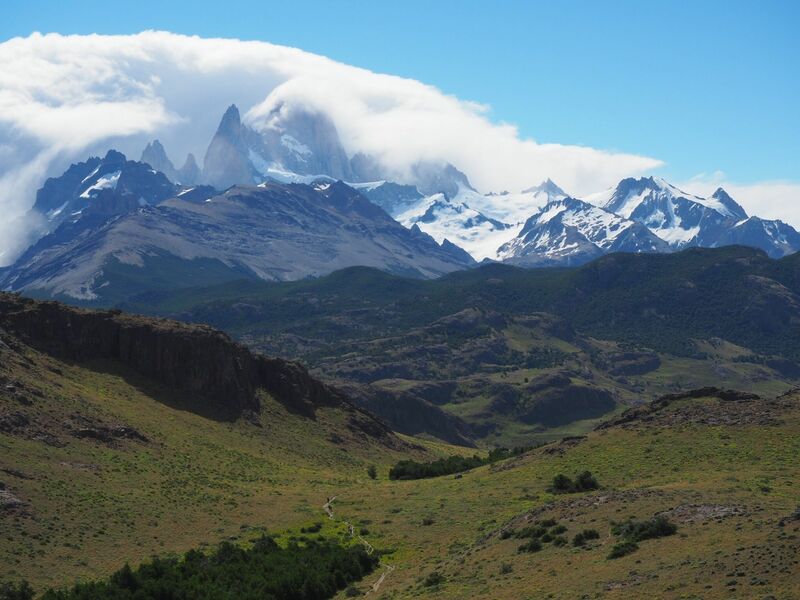 Unlike the fitz roy trail which has more uphill from the start, this trail def has uphil, but not as much. You walk through a beautiful forest then get to the dreaded uphill rock climb off shoot. This is where the trail joins. 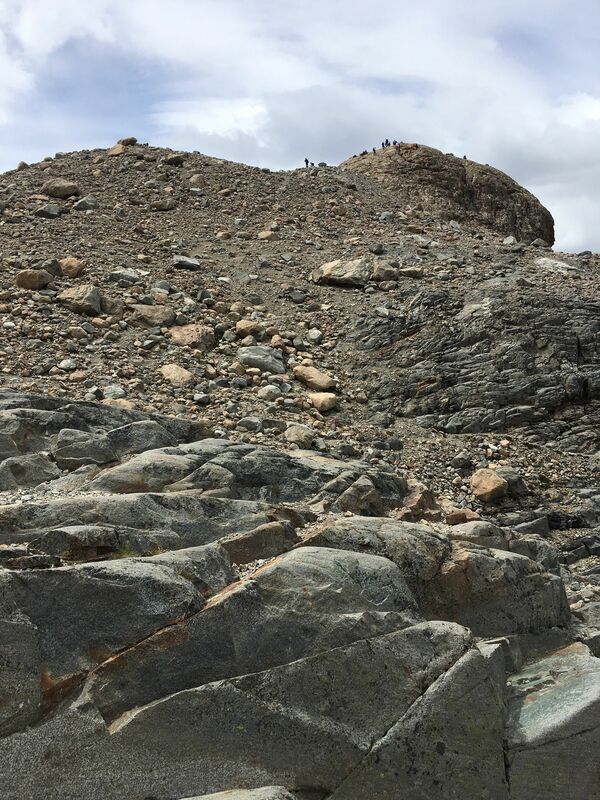 You climb over very very rocky ground at a 45°-75° incline for about a mile. It is no joke. We were there on a soectacular clear day. The lagoon at the base was sadly still frozen and covered in snow the “extra” lake over the crest to the right wasnt and was a clear bright blue. But not the turquoise the base suposedly is. 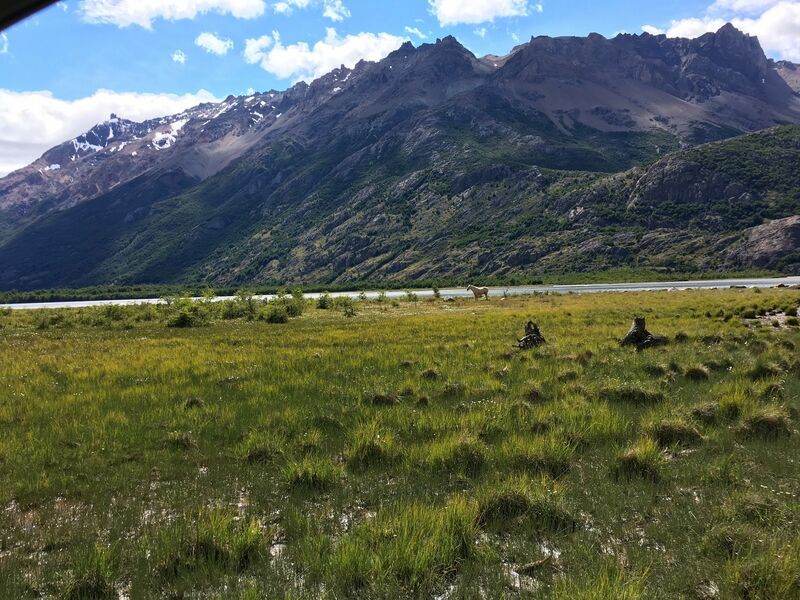 :( we walked back the el chalten way to our hotel. Amazing hike. Was about 13 miles. This is the most beautiful hike we did. 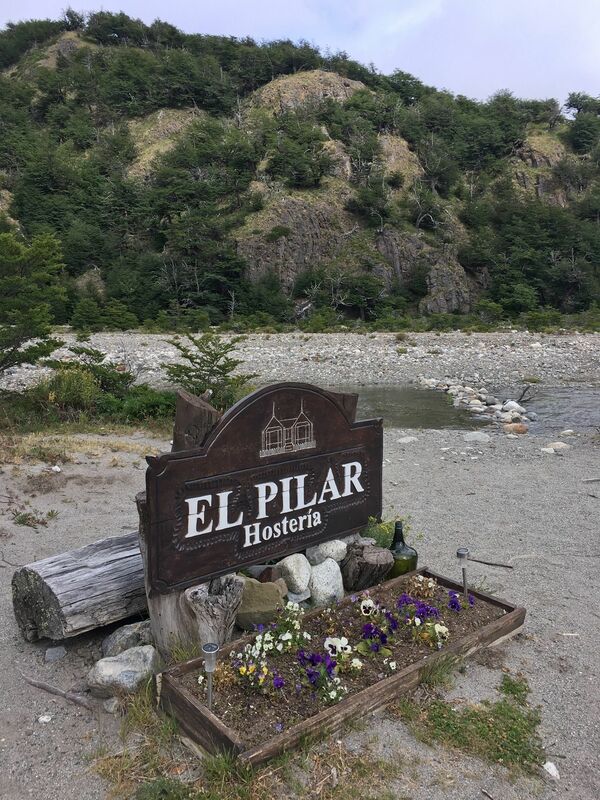 Took the bus from El Chalten to El Pilar and started our day from there. The weather was beautiful and we had a blast. 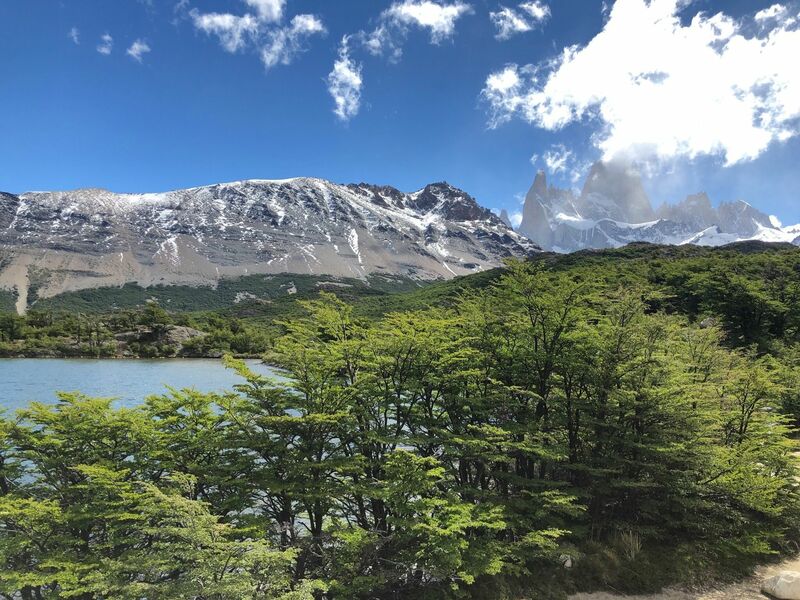 Our independent recordings of the trail showed a longer distance (15.3 miles), but it is true that once we got up, we continued the exploration around the laguna. I was very tired and I had to take some Ibuprofen to help with my feet pain (I have a severe plantar fasciatis). Wonderful hike!!!! Nice view of the mountains and the city! 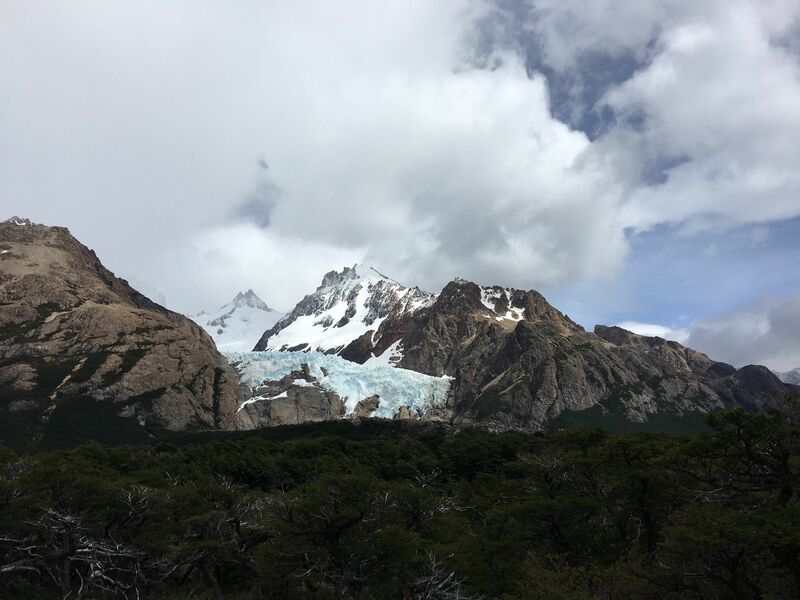 By far the most stunning of views in all of El Chalten that we were on! Highly recommend for trail running or hiking. Spectacular! Less people than other nearby trails. This trail was recommended to us by a local, as we were tired of the crowds on the other trails. The hike is long and hard. When turning left from the forrest path it is easy to get lost as it is not marked. You wanna start hiking up the crest of the mountain. The surface gets crumbly as you climb. We only met one other group of hikers that day. Pim Klaver recorded Recording - jan. 19, 01:33 p.m.